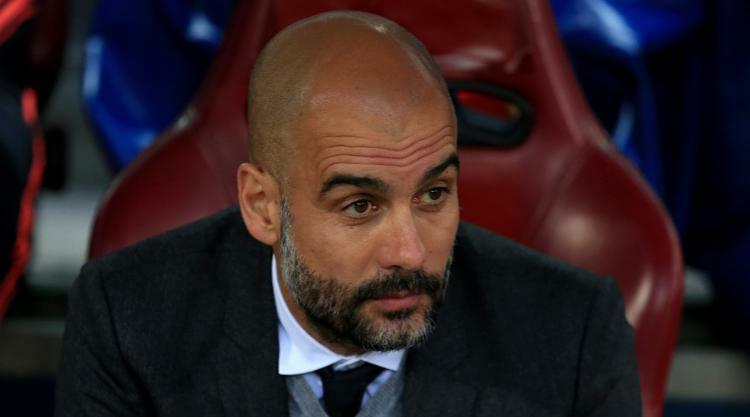 Pep Guardiola's Manchester City have been tipped to match or even surpass Manchester United's treble-winning season of 1998/99. Although there is a long way to go, City could yet win an unprecedented quadruple of Premier League, FA Cup, League Cup and Champions League. Here, Press Association Sport looks at how City's side match up to Sir Alex Ferguson's legendary team. Ederson has been one of the big improvements to City's side this season. The 24-year-old Brazilian has settled seamlessly into Premier League life and has impressed with his all-round qualities. But Ederson still has a long way to go to be considered in the same class as Peter Schmeichel, one of the all-time greats. If City do have a weakness against the very best, then it is probably at the back. They are much improved from last season, when they conceded 39 goals in the Premier League. Nicolas Otamendi and, in particular, John Stones have made big strides while Kyle Walker is a strong right-back. But Vincent Kompany's fitness problems are long-standing while, as well as he has played, Fabian Delph is not a specialist left-back. Gary Neville, Jaap Stam, Ronny Johnsen and Denis Irwin were the regular back four for United during their treble-winning season. While arguably not the strongest ever Ferguson defence, it was packed full of experience and featured possibly the best two full-backs in United's history. The two outstanding players for City this season - and there is stiff competition - have been David Silva and Kevin De Bruyne. Between them they have scored and directly assisted 27 goals, and been involved in many more. Speed of passing and movement is the hallmark of Guardiola's teams and, with Fernandinho providing cover to the defence, it has been a formula other teams have been powerless to resist. As good as City's midfield is, the United midfield of David Beckham, Roy Keane, Paul Scholes and Ryan Giggs was surely the greatest of the Premier League era and one of the greatest ever. United's Champions League success came despite Keane and Scholes both missing the final through suspension. City's fluid line-up sees wide men Leroy Sane and Raheem Sterling often the furthest men forwards and both have been outstanding this season. Sterling is the club's leading scorer while Sane has provided as many assists as De Bruyne and Silva. Sergio Aguero has not been on top form but already has 13 goals while Gabriel Jesus is a support act of the highest class. Andy Cole and Dwight Yorke were in their pomp in 1998/99 and scored more than 50 goals between them, forming one of the Premier League's most potent partnerships. And just as crucially - especially in the Champions League final, of course - they had excellent back-up in Teddy Sheringham and Ole Gunnar Solskjaer.